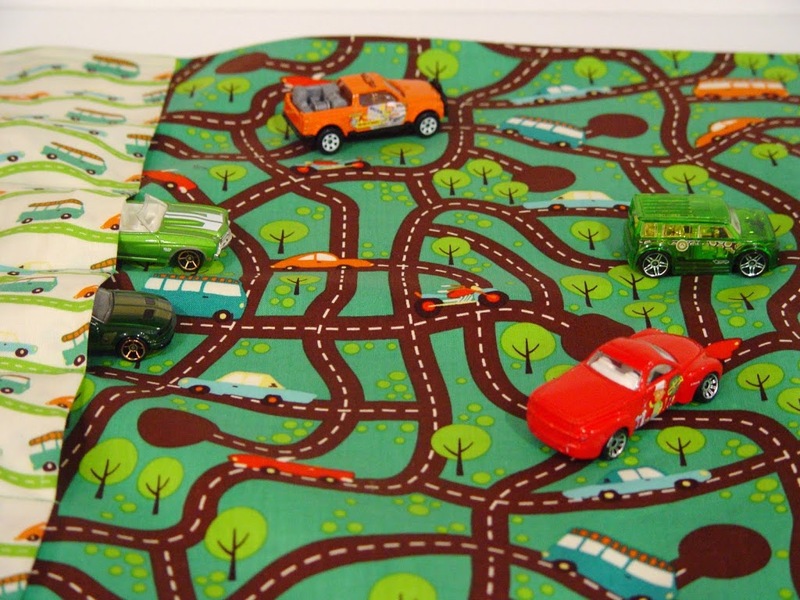 The roll/mat holds 6 Matchbox sized cars. 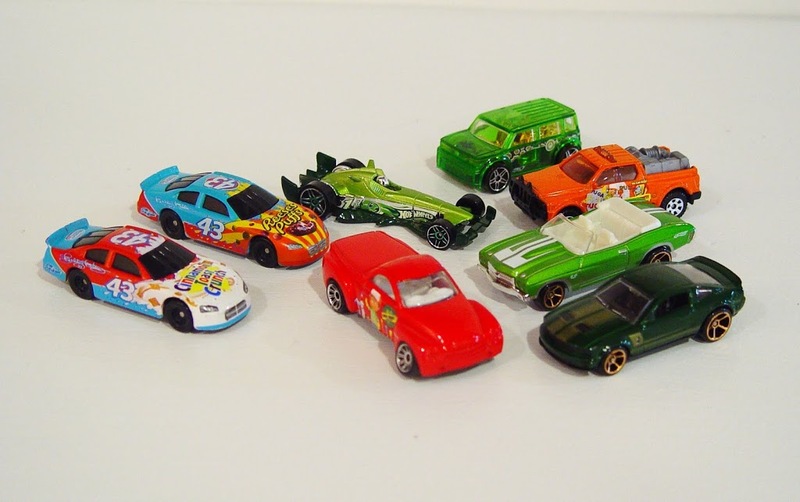 The pocket size allows for various shapes of cars (trucks, SUVs, and of course, race cars). 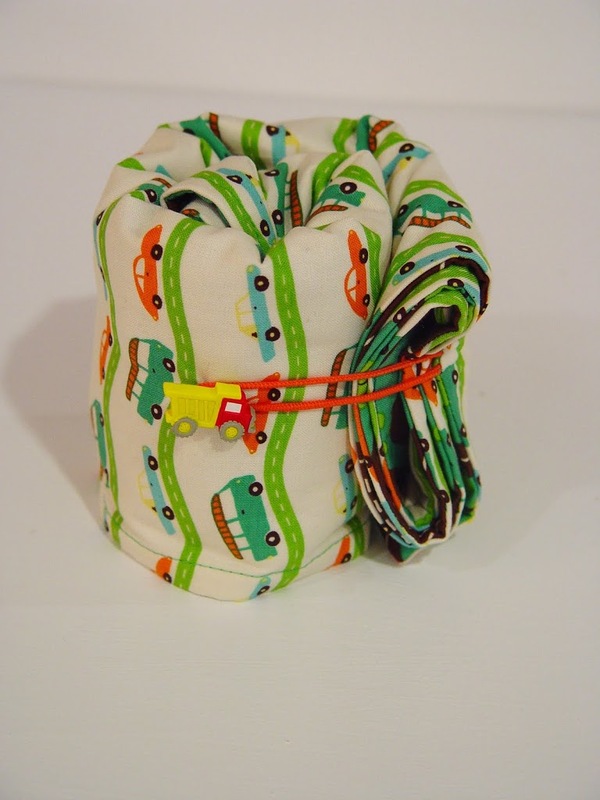 It rolls up to approximately 5″h x 3.5″ in diameter, depending on the size of cars you pack in there. The open mat measures 28 3/4″ x 17″. 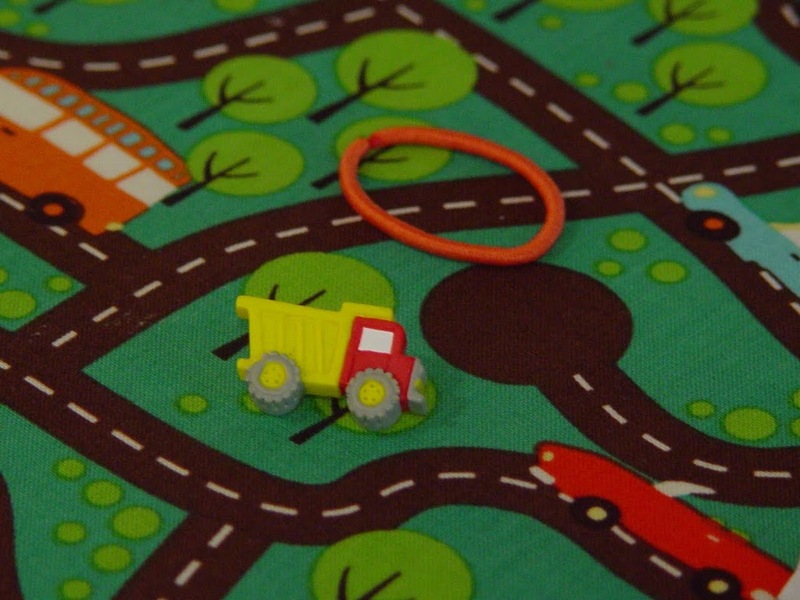 This allows for enough room for two kids (I mean drivers) to play without getting too many traffic jams. Oh, yeah, don’t forget the cars! 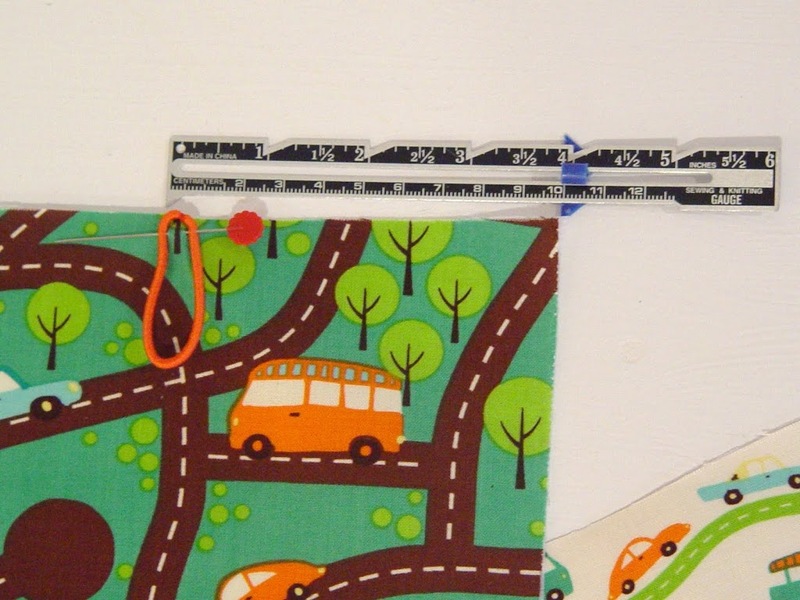 Fold the pocket piece in half, wrong sides together, so that it’s now 5″ x 18″ and iron flat. 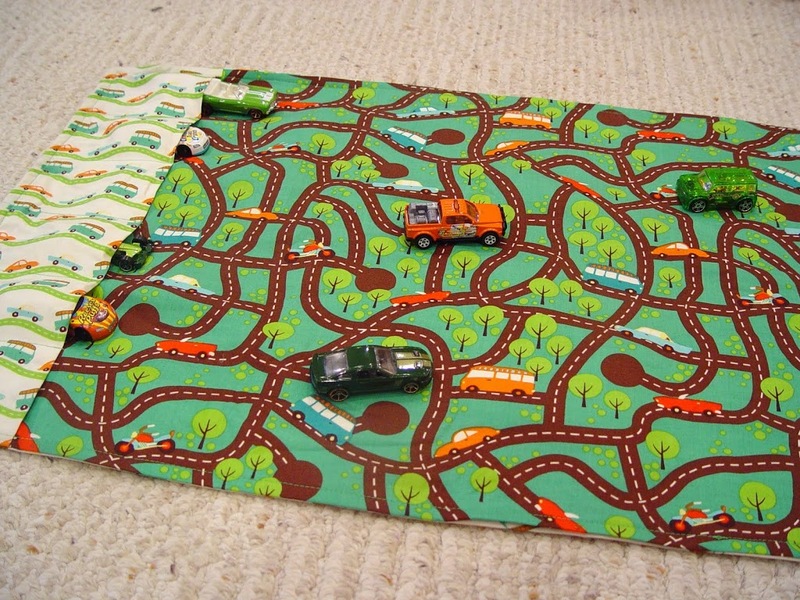 With right sides together, pin pocket piece to the mat piece (with the roads), raw edges together, on the left side of the mat. Baste around the outer edge as close to the edge as possible. (No more than 1/4″.) This is your pocket. for the cars. 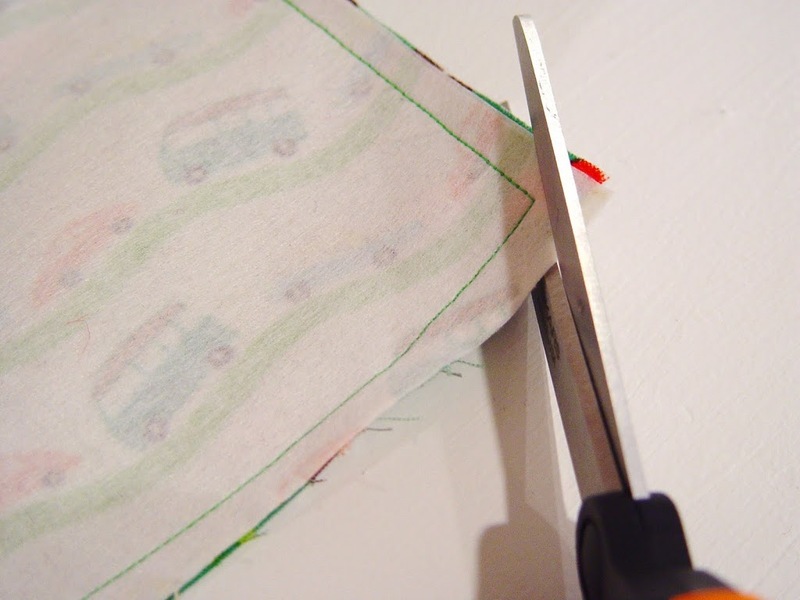 Mark the pockets: Using a water soluble fabric marker, mark 3/4″ in from both edges of the pocket. 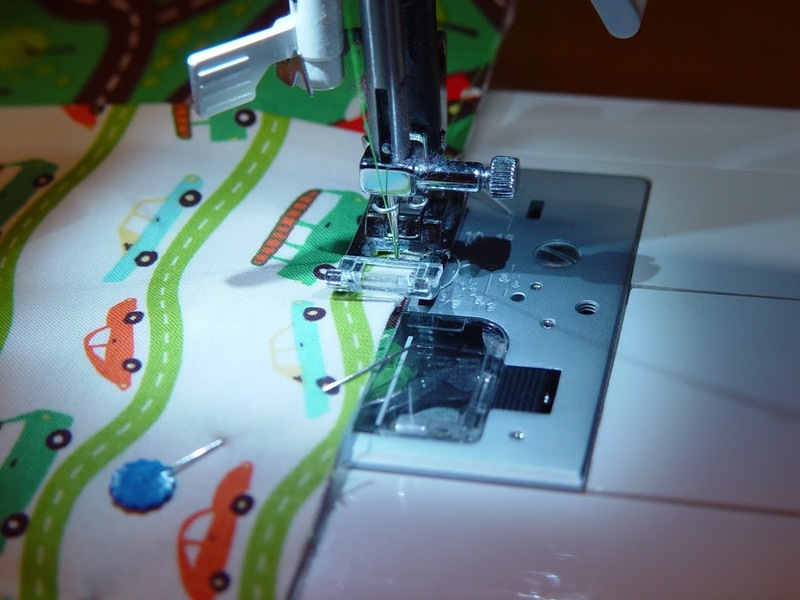 You will not sew these lines, they’re just for placement. Baste an elastic loop roughly 4″ from the top right corner of the mat. 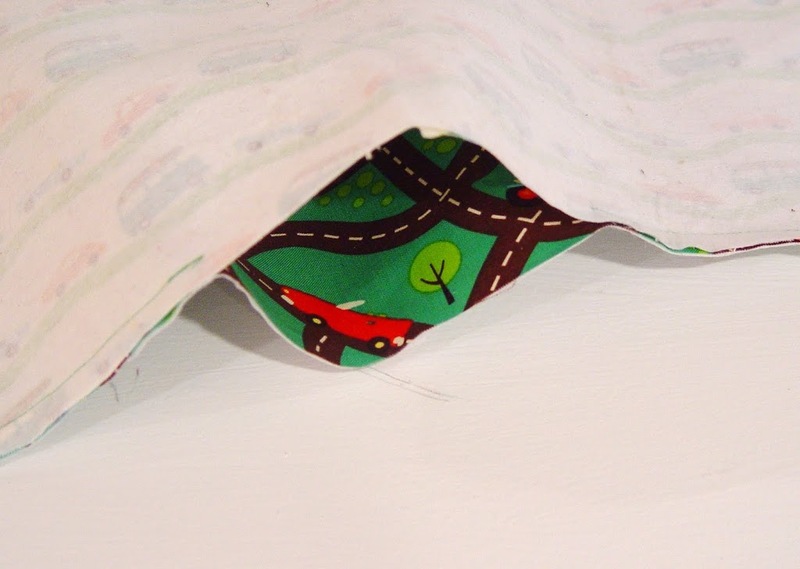 Lay it so that it’s on the mat piece and not sticking up off the fabric. Pin the mat to the back piece, right sides together. 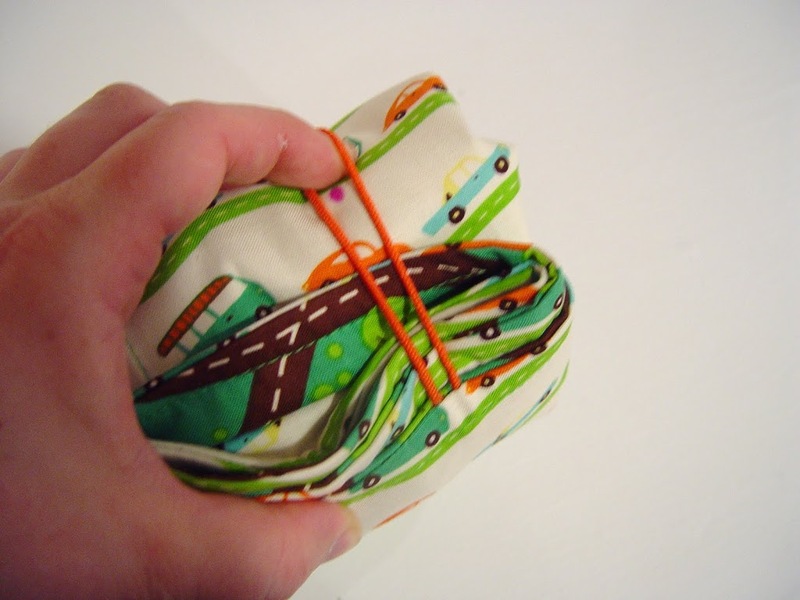 Sew around with a 3/8″ seam, leaving an opening (about 4″ – 5″) at the bottom for turning. Trim corners and turn right side out. 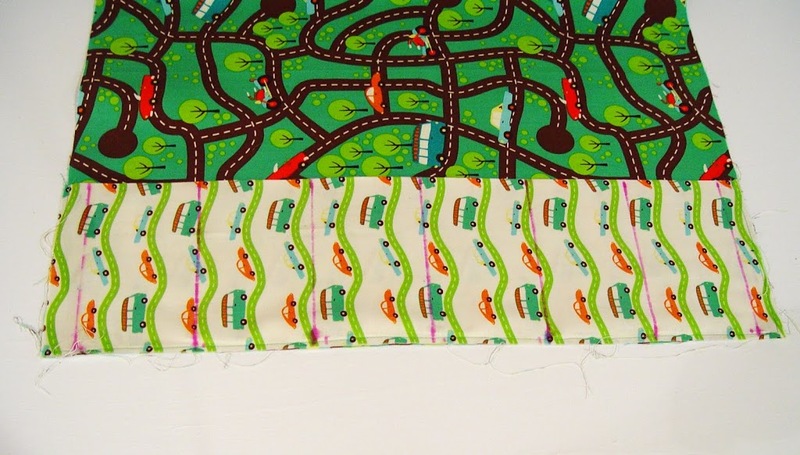 Topstitch 3/8″ from the edge all the way around. 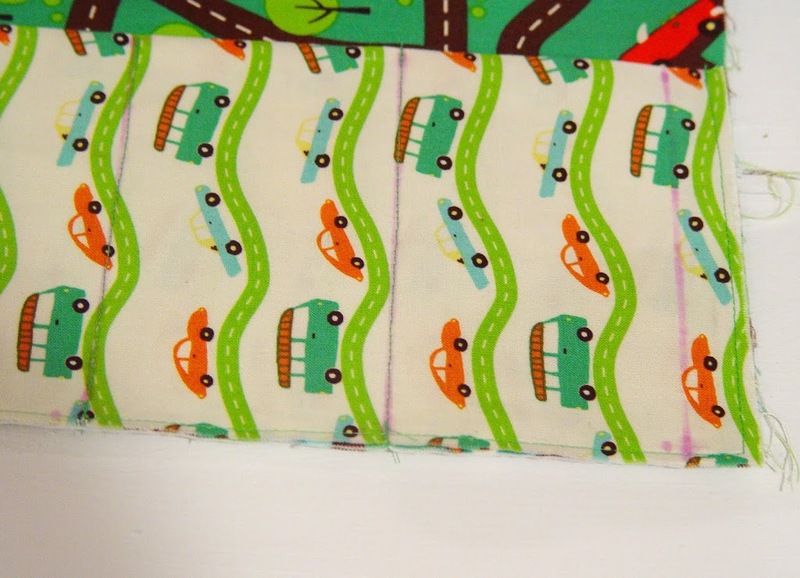 Put your cars in the pockets. 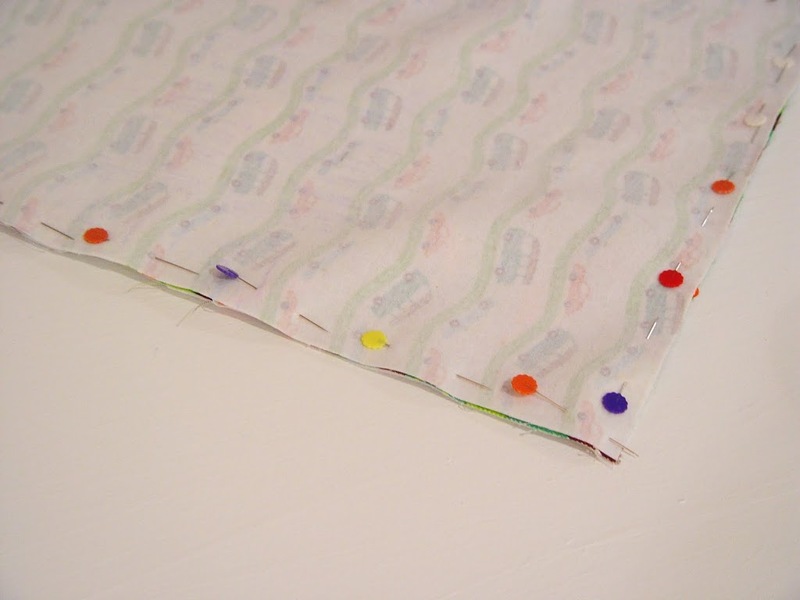 Pull the elastic band a bit and mark with your fabric pen where the button should go. Sew on the button and you’re done! Would your little driver like this?? 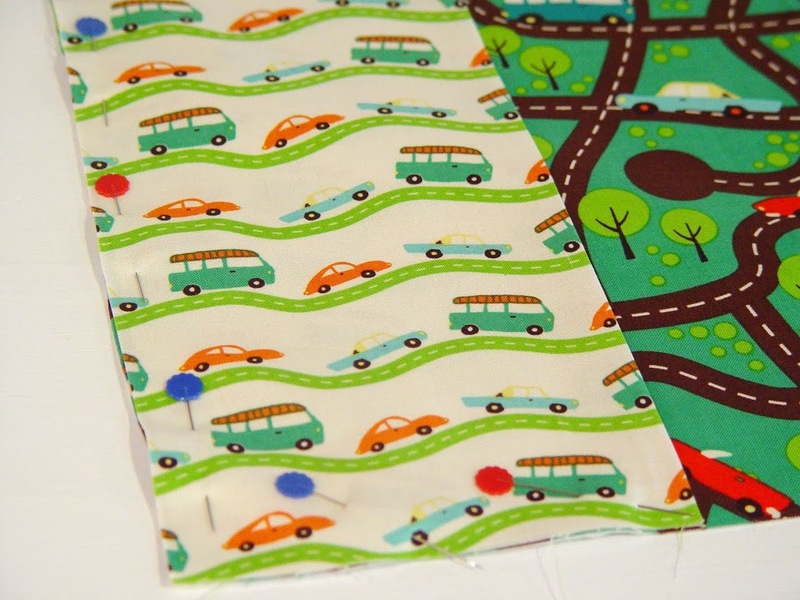 this is really lovely, i just made one today with the same fabric on the front! i’ll feature it on my blog with a link to your tutorial within the next weeks. Thank you so much for this wonderful idea. 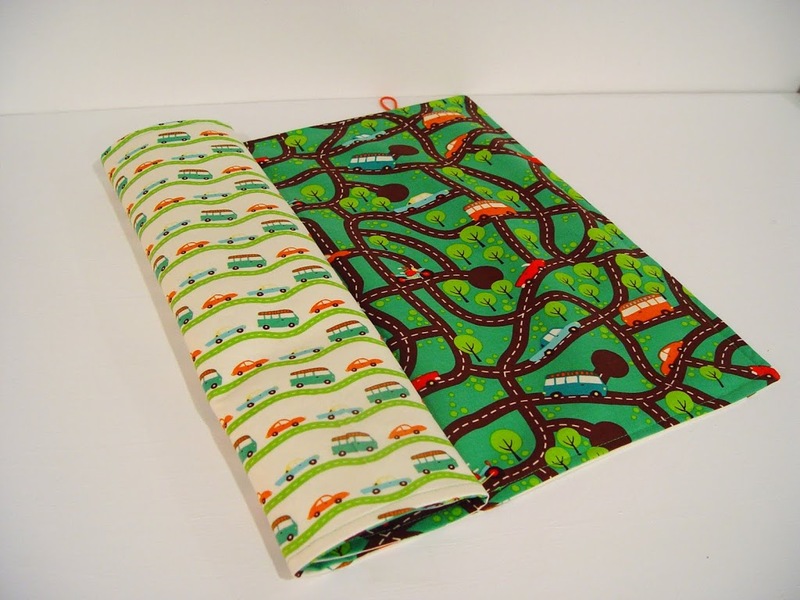 Very cute, very fast, and perfect for the bottom of the diaper bag/purse. Made one for my son and then one for a birthday gift and they are super cute. Thanks so much for the great tutorial! 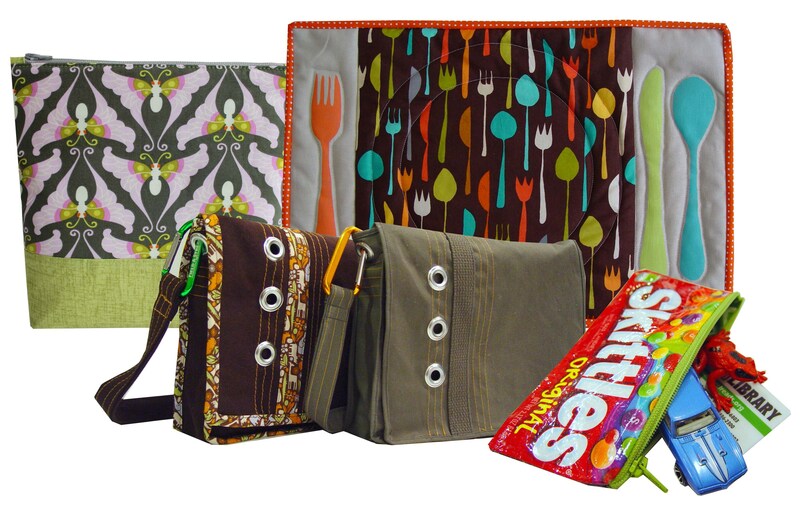 I have some of that fabric and will be making a few for Christmas. 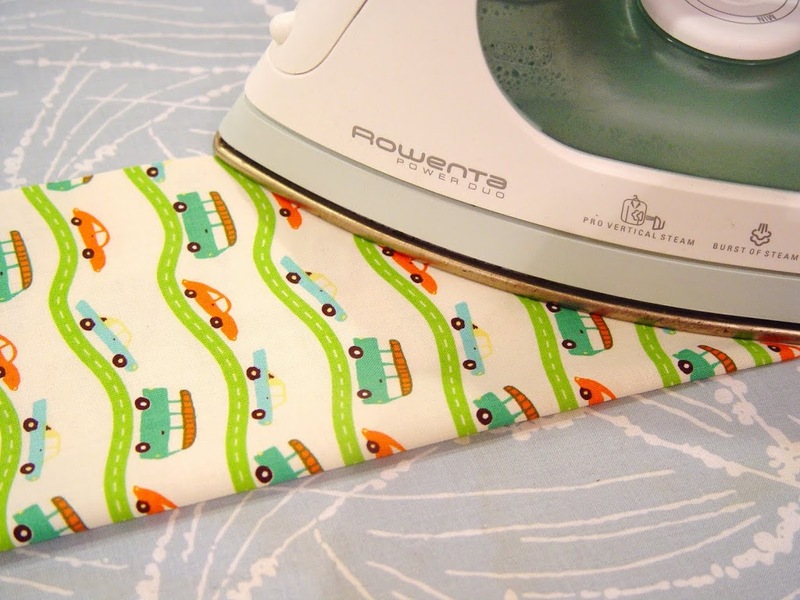 I just had one question – what kind of interfacing did you use? Thanks! 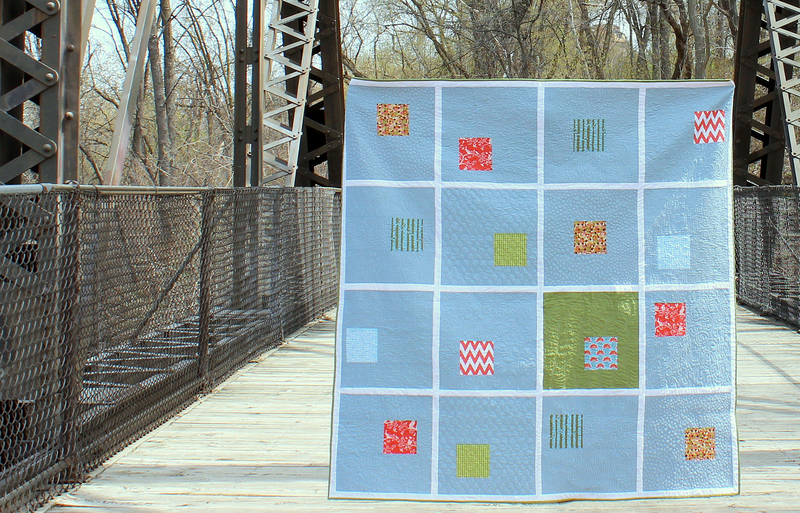 Heather – I think I used a medium-light weight interfacing, but you can use anything you like — just not too heavy or it won’t roll up well. Wow, so cute. 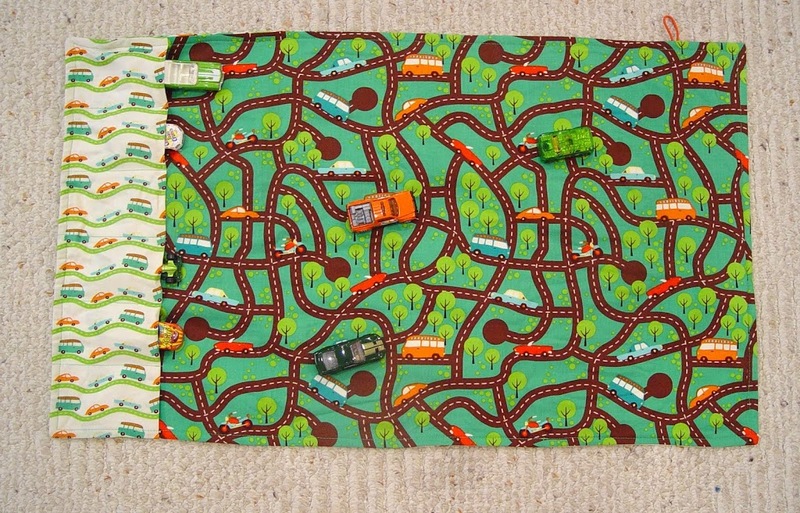 I wonder if there’s similar fabric with train tracks- my 3.5 year old is big into trains and Thomas. 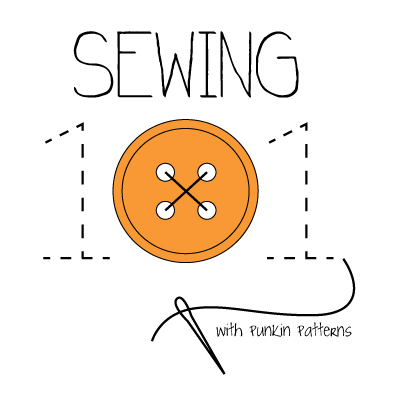 And I need to learn to use a sewing machine (I knit, crochet, embroider, hand-sew, so why not?!). 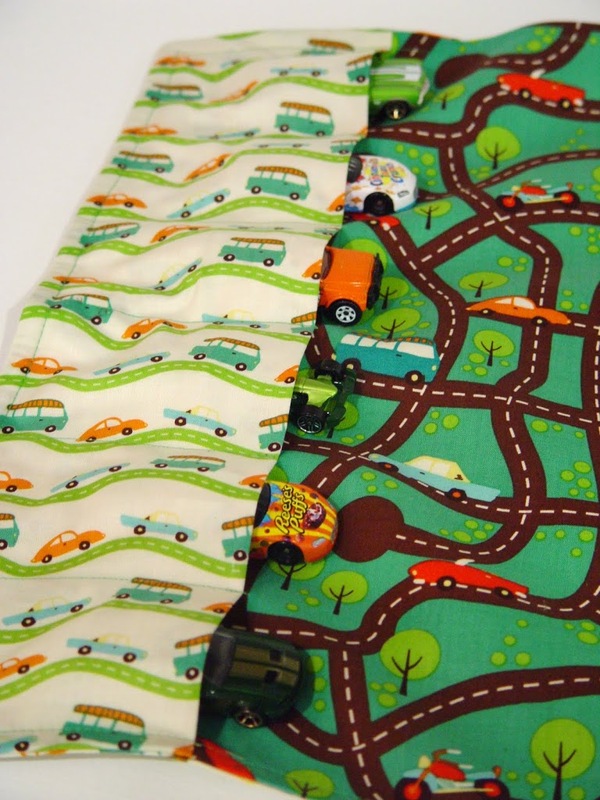 Soooo cute and so much easier than sewing on the roads with felt! 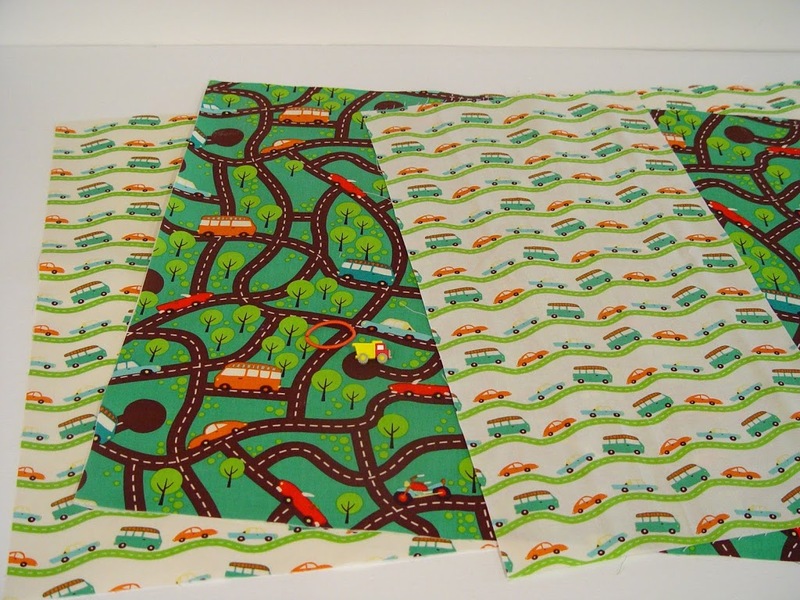 Does anyone know if Riley Blake still sells this fabric? I can’t find it anywhere!! My grandson will love it!!!!! I’m making one soon!! One question what kind interface did you use? Honestly, it was so long ago that I don’t remember. I would suggest a woven mid to lightweight interfacing.